Do you find yourself digging around in your bag or pockets, struggling like a horror movie victim every time you want to get inside your car? Jaguar Keyless entry can help. 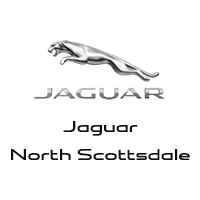 If you have a new Jaguar model, like the Jaguar XE, take advantage of technology that adds convenience and safety to your life in Scottsdale at Jaguar North Scottsdale. How Does Jaguar XE Keyless Entry Work? Approach the vehicle with the Jaguar Smart Key fob in your pocket or bag, and the vehicle’s system will sense the key’s proximity. When you grab any door handle it will unlock and disarm the vehicle. Once inside, put your foot on the brake and press the start button to start the engine. When you exit your XE, you can lock it by pressing the button on the door handle or using the key fob. Which Jaguar XE Trims Offer Keyless Entry? When you pair Keyless Entry with the Rear Park Aid feature, you will also get the Powered Gesture Trunk Lid feature, so you can access your cargo space despite what your arms may be loaded up with on busy days in Cave Creek. If you would like to find out how to program specific doors to work with Keyless Entry for added security in your XE model, you can contact your local service center. You can also learn more about technology features, including Jaguar InControl®, at Jaguar North Scottsdale, or compare the Jaguar XE vs. BMW 3 Series to explore the competition. Contact us to schedule a test drive of the Jaguar XE and experience all the convenient features in person!